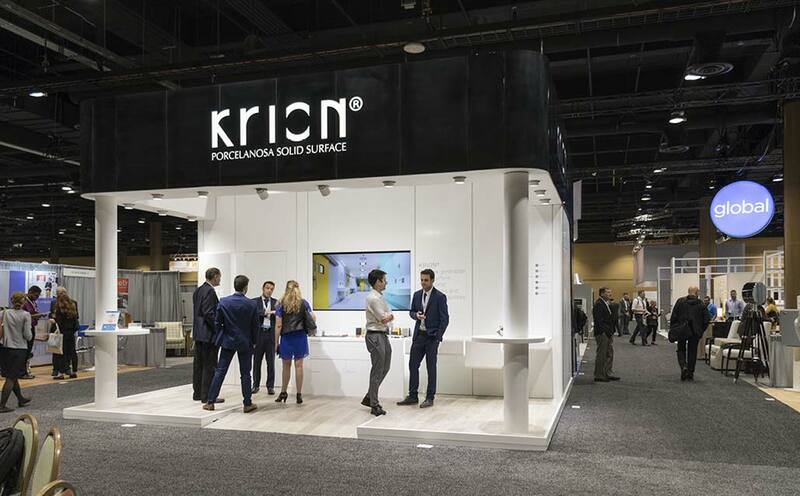 From the 11th to the 14th of November in Orlando, Florida (USA) atGaylord Palms Resort & Convention Center, the “HCD - Healthcare Design Expo” was held, where PORCELANOSA Group, along with KRION, presented the travelling K-LIFE exhibition in Booth 1635, explaining how KRION incorporates the capacity for air purification and elimination of bacterial into the existing properties of the material. HCD is one of the most important trade fairs in the healthcare sector in the United States, with visitors from a broad spectrum of specialisations in the sector, such as architects, interior designers, doctors, nurses, teachers, and researchers, etc. Countless professionals make this trade fair a point of reference in the sector, the purpose of which is to allow visitors to experience design, planning and interiors first-hand, with a positive effect on medical service environments.